This is my comfort food, what’s yours? I’m pretty sure we all have different ideas of comfort food. For me, it’s either a big bowl of Pho or a bowl of Gumbo. I think Gumbo is just a very very simple dish anyone can make. It has alot of flexibility too! 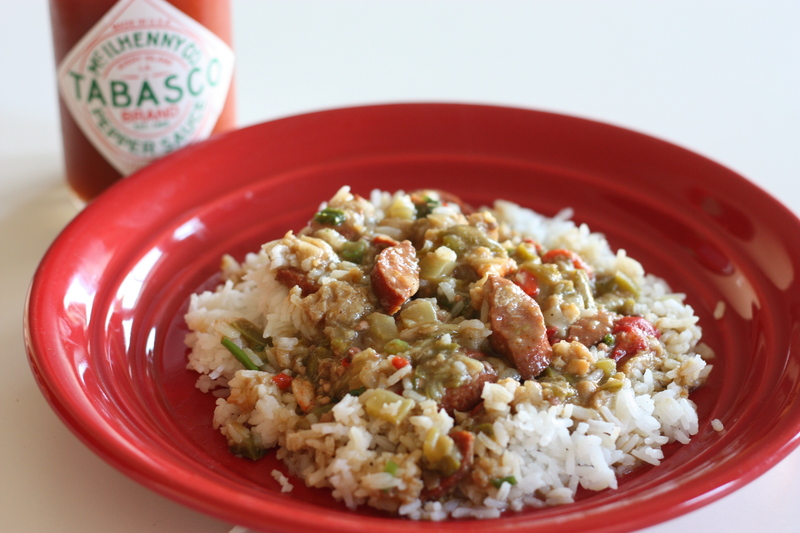 Chicken, Seafood, Sausage, Veggie–however you like your gumbo it’s gonna be good! In anycase, this post is more about show and less about tell. Maybe when I come around to making my Gumbo with Duck Confit, I will tell you all the basics of a gumbo, at least from what I know. This entry was posted on October 25, 2012 by rrfoods in Dinner, Lunch, Quick Nom and tagged bell peppers, brown, cajun, celery, chicken, gumbo, hot link, onions, roux, sausage, stock.